Matt Barnes Cops Plea Felony REJECTED by D.A. 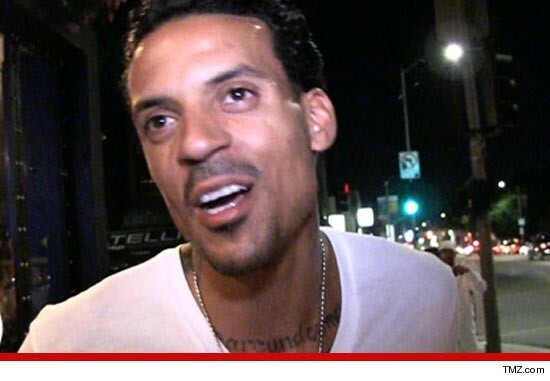 Matt Barnes Cops Plea -- Felony Rejected By D.A. L.A. Clippers player Matt Barnes has cut a plea deal and in the process scored a big victory ... because prosecutors rejected the felony, agreeing the case was nothing more than a low-level misdemeanor ... TMZ has learned. You'll recall, Barnes was arrested near a Manhattan Beach, CA restaurant in late July, where he had been dining with his wife, "Basketball Wives" star Gloria Govan. The Manhattan Beach cop -- who had previously stopped and cited Barnes twice before -- waited for Barnes outside the restaurant for 2 hours before placing him under arrest for driving with a suspended license. As the cop attempted to cuff Barnes, he tried handing his car keys to his wife. The officer grabbed Barnes' hand and the bballer pulled away ... and the cop felt that was enough to take Barnes in for felony resisting arrest. But the D.A. didn't see it that way. Barnes just pled no contest to interference with the duties of a police officer -- a misdemeanor. Barnes -- whose lawyer Blair Berk appeared in court on his behalf -- got a $100 fine, 30 hours of community service, 13 sessions with a counselor and he was placed on informal probation for 24 months. The charge of driving with a suspended license was dismissed after Barnes proved he had a valid license. He pled no contest to a much lesser offense -- driving while not in possession of a license. For that Barnes got a $100 fine and was placed on 12 months informal probation. All in all ... Barnes scored a bigger court victory than the Lakers in the playoffs. Matt Barnes -- Manhattan Beach Cop ... HATES MY GUTS!